I performed my henna treatment last weekend with henna and indigo followed by deep conditioning. During the week, I applied the mustard seed oil and henna mix recipe to my hair and scalp 3 times. 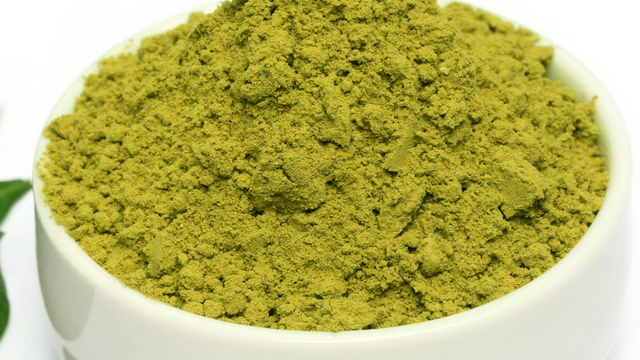 Henna is a dye that comes from the plant Lawsonia inermis. 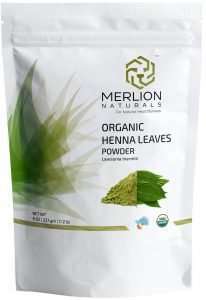 The henna leaves are dried, milled into a fine powder and then sifted. Afterward, it is packaged and sold as henna powder. Henna powder can be mixed with a variety of other ingredients depending on tradition to achieve desired results. Traditionally, henna was used to dye hair, skin, nails, textiles, and leather in parts of the Middle East, Africa, Asia & Europe. When the compounds in henna are activated and applied to the hair, they bind to the protein molecules in hair and darken as they are absorbed deeper into the hair. Indigo is a plant with blue dye in it. 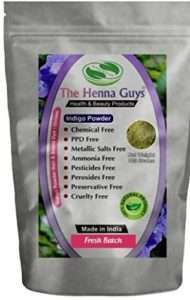 In some parts of the world, indigo powder is sold as black henna but indigo powder isn’t henna. Indigo leaves are processed the same way as henna leaves and the end result is used to dye fabrics and hair. 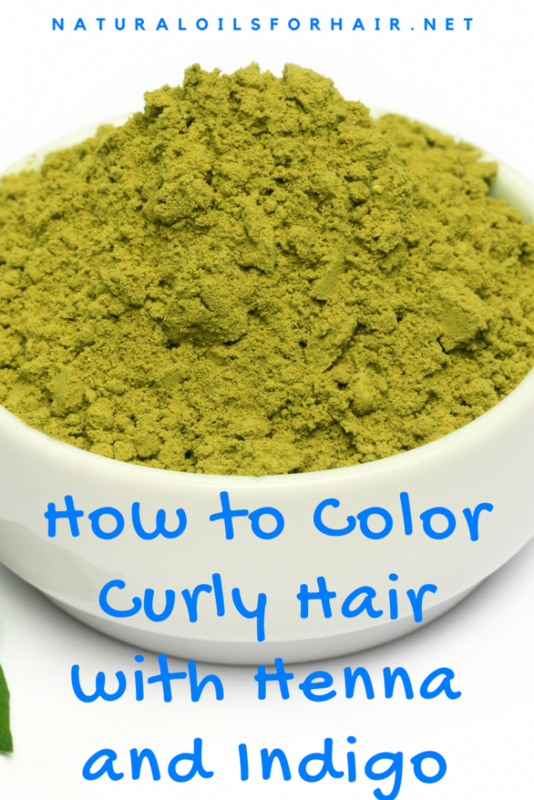 Like henna, is a natural dye and can be used to dye hair safely. Henna and indigo strengthen and conditions the hair shaft as an immediate effect but in the long term it also thickens hair and promotes elasticity leading to better retention. If your hair is dry, breaking or feels crunchy on the ends, henna and indigo over time will help rectify these issues. A henna and indigo session will loosen the curls slightly so its easier to detangle and style your hair afterward. The loosening of curls is only temporary and eventually, your hair will revert to its true state. Henna and indigo reduce frizz in hair. Application smoothens your locks. 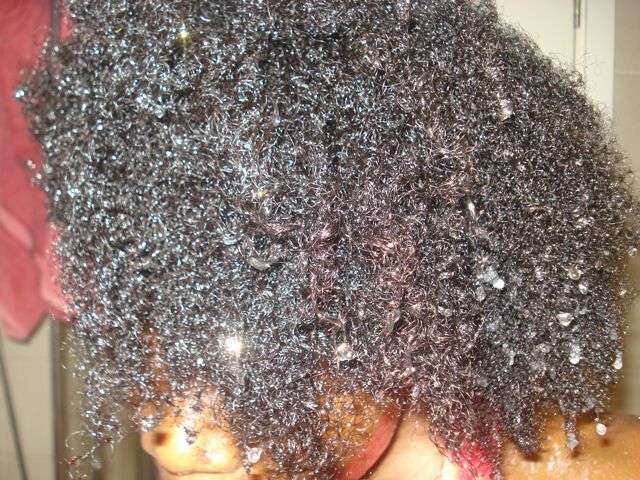 Followed by a good deep conditioning session, frizz will be greatly reduced. Henna and indigo detoxify the follicles. If you’ve ever tried bentonite clay, you will know that feeling of rejuvenation and cleanliness without stripping hair. Henna and indigo have the same effects on hair. Henna and indigo are natural ingredients that come from plants. You can safely use both henna and indigo on your hair every few weeks. 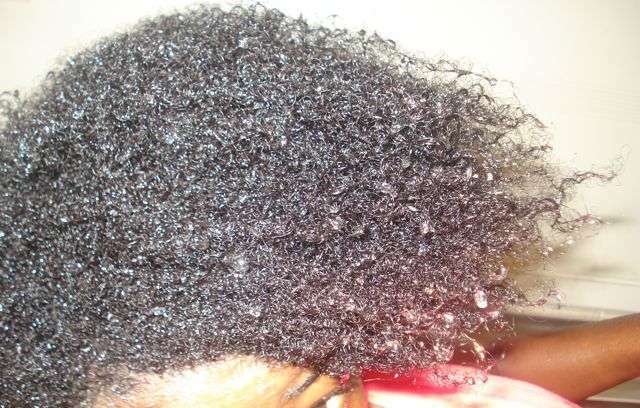 Frequent use will not cuase damage or breakage as long as deep conditioning follows it. You cannot do this with chemical hair dyes. Henna and indigo is a budget-friendly way to color your hair at home. Premium commercial hair dyes can go as high as $30. If you go into the salon to get your hair professionally dyed, expect the cost to go up as high as $200. 24 – 48 hours before dyeing your hair, pour the henna into a big bowl and mix with enough lemon juice to form a paste. Cover with cling film and set aside in a cool area. This process releases the dye in the henna so it can adhere to your hair successfully. On treatment day, uncover the henna and mix with enough lemon juice to form a consistency similar to runny yogurt. Section your hair and apply the henna mix generously to your hair and scalp. Take your time and ensure every section of your hair and scalp are covered. Wrap cling film around your head. Leave in for 8 hours. You can also apply in the evening and leave overnight. Wash out the henna with a cheap conditioner and water. Mix the indigo powder only when you are ready to use it. Pour the indigo powder into a bowl and add in the salt and CMC powder. The CMC powder will make the mix smoother so it’s easier to apply to your hair. Mix all the ingredients with plain water until it’s the same consistency as yogurt. Apply the indigo immediately after washing out the henna. Wrap your head with cling film and leave the indigo paste in for at least an hour but you can leave it in for up to 3 hours if you prefer. Rinse out the indigo with lukewarm water. Apply a moisturizing deep conditioner and sit under a hair steamer for 30 minutes. 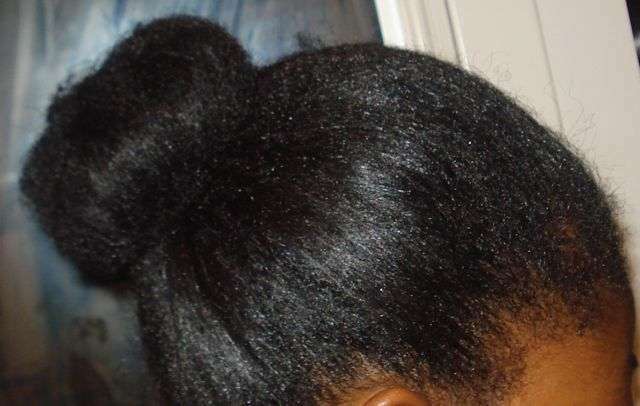 Rinse out the deep conditioner, apply your leave in and style your hair. I apply henna and indigo on my hair every 10 – 12 weeks but when I’m feeling lazy, I stretch it to every 16 weeks. Do not shampoo your hair for at least a week after applying henna and indigo so the treatment has time to adhere to your hair. Below are my results. I was going for some kind of angle with these pictures because I wanted to capture the highlights but it came out looking a bit off, unfortunately. I styled my hair with curlformers afterward, sat under a hood dryer for an hour and stretched out the curls afterward into a bun. I’m not very good at styling after a curlformers set but it stretches out the hair real nice making it easier to work it without causing damage. Check out the great shine! Sometimes, you just don’t have the time available to go through the whole process of applying henna first followed by indigo. Mix 2 packets of henna using the same method as above 48 hours before you dye your hair. On treatment day, mix 1 packet of indigo with plain water separately. Pour the indigo paste into the henna paste and mix together thoroughly. Apply the same way as above recipes. You can leave in for up to 8 hours. This recipe will not provide the rich blue-black color that using henna and indigo separately would. Instead, your hair will end up a deep brown auburn. How Long Does Henna and Indigo Dye Last in Your Hair? My henna and indigo applications last for at least 3.5 months before I need to reapply but results may vary. This depends on how long you left the paste in your hair, your hair color plus how often you shampoo your hair. I shampoo infrequently so this may also have helped it last that long. Is Henna and Indigo Hair Dye Permanent? No, henna and indigo hair dye isn’t permanent and will eventually fade away naturally over time as you shampoo and condition your hair but done correctly, it should last for at least 10 weeks. Can I Leave Henna in My Hair Overnight? Yes, you can. This is how I do it most of the time as I simply don’t have enough time to apply henna during the day then wait for 8 hours before applying the indigo. Though most people are fine with using henna for hair, there have been instances of allergic reactions such as itching, inflammation, contact dermatitis or breakouts. It’s also unsafe for use if you have a glucose 6-phosphate dehydrogenase (G6PD) deficiency. Always do a patch test before applying henna to your hair. There are no serious side effects with indigo powder but there have been cases of itchiness. As with henna powder, conduct a patch test before application. If you’re new to henna, you will probably find this very messy and it might take you forever the first time. However, as you practice more, you will eventually learn to manage the amount of time you spend on it and fine-tune your processes. Have you tried henna and indigo before? Have you tried another method apart from above? Let us know in the comments section. Learn more about the book and see how you can grab a discounted copy HERE. Wow, your hear is really shiny and straight. All from curldormers only? What kind of products did you use for the set? Did you apply heat to dry the hair while in curlers? Yes, it was from curlformers. I use different products to set but for this particular set, I used aloe vera juice and a dash of coconut oil. I air dried 60% then used my bonnet on the lowest setting to dry off the rest. I love your results! I’ve never tried indigo before though. I just do henna and keep it moving? How big of a difference does the indigo make? The indigo gives it a lovely dark blue-black hue which I believe helps the colour to last longer as well.